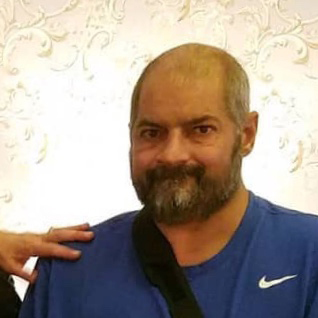 Steven Ray Kearschner, 48, of Terre Haute, Indiana, passed away January 19, 2019. He was born October 22, 1970, in Terre Haute, Indiana to Donald Kearschner and Edith Kearschner. Steven will be missed by all that knew him. He is survived by his mother and his step father Don Elmore; son Brock Kearschner; granddaughter Brooklyn; brothers Mark Kearschner, Randy Kearschner, and Don Kearschner;, sister Marjorie Joseph, step sister Kathy Pitcher, and step brother Curtis Elmore. A celebration of life will be held on Saturday, January 26, 2019 from 1:00p.m. until 4:00p.m. in Christ Temple Church, 2311 Locust Street, Terre Haute, Indiana, 47807. Care and arrangements have been entrusted to Greiner Funeral Home, 2005 North 13th Street, Terre Haute, Indiana, 47804. Online condolences may be made at www.greinerfuneralhome.com .